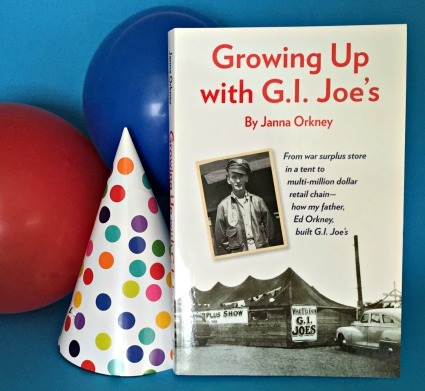 A book launch party for Growing Up With G.I. Joe’s is happening the second weekend in November in the Portland area. If you would like to be invited, please email me at ColumbiaPress22@gmail.com, so that I can email you an invitation. Unfortunately, I can only send invitations to the first 20 folks that email me because of the space limitations of the party location. However, if there is more response, perhaps we can put together another party! So, even if you see this post a day or two after it appears online, still email me. This entry was posted in Uncategorized and tagged Book Party. Bookmark the permalink. I’d be seeking an invitation if I weren’t in LA… So many congratulations. You are without question an inspiration to me, and I suspect a number of others.